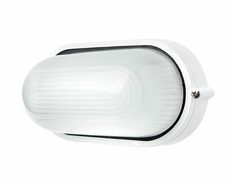 240v IP54 Cylinder with guard bunker. 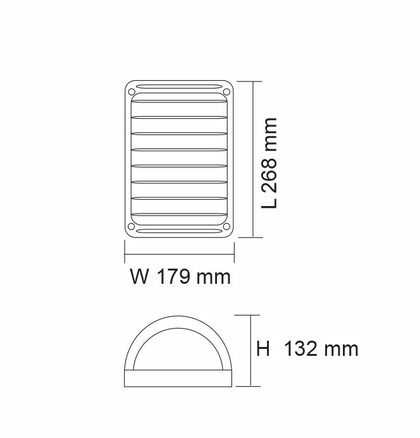 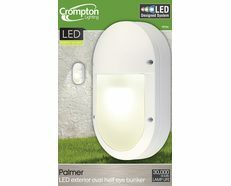 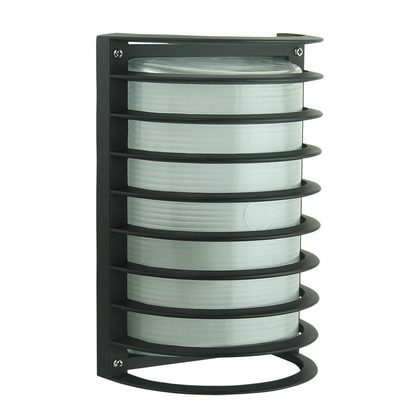 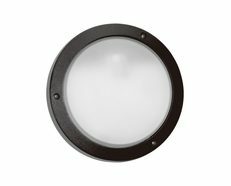 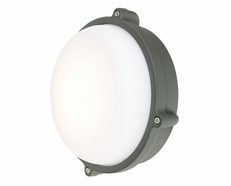 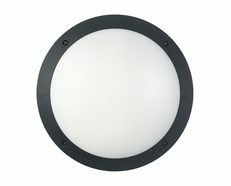 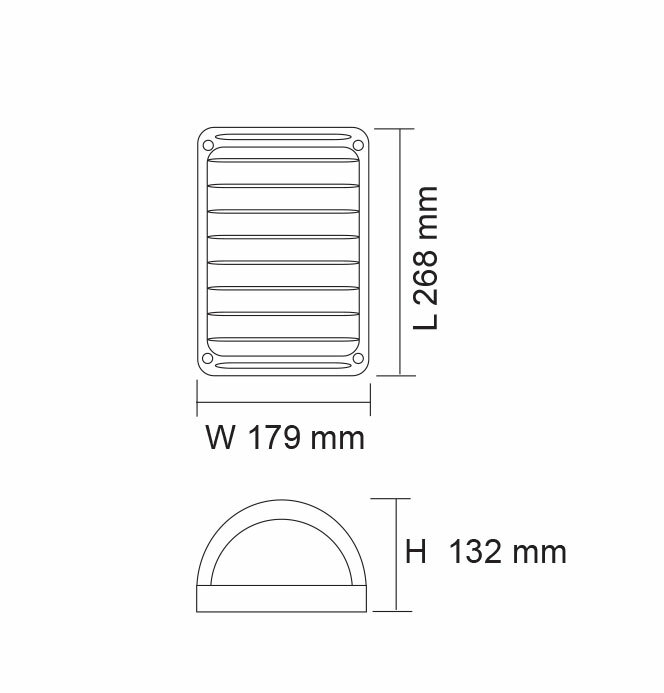 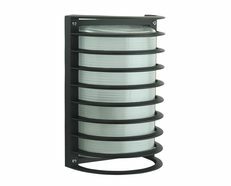 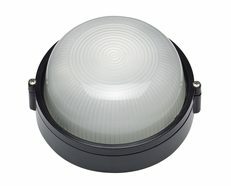 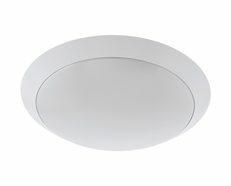 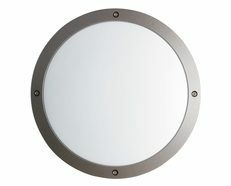 Italian inspired exterior (IP54) bulkhead. 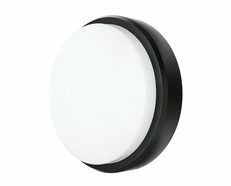 Black, cast aluminium trim with a guard over a curved glass lens.